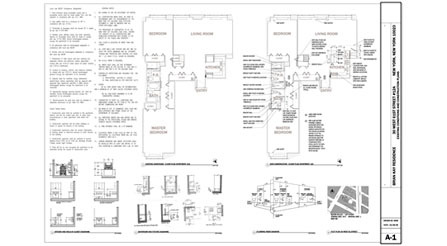 Residential construction document set on one sheet, construction contract documents on a single sheet. Here is a quick example of the efficiency provided by Miller Enterprises Drawing Production. 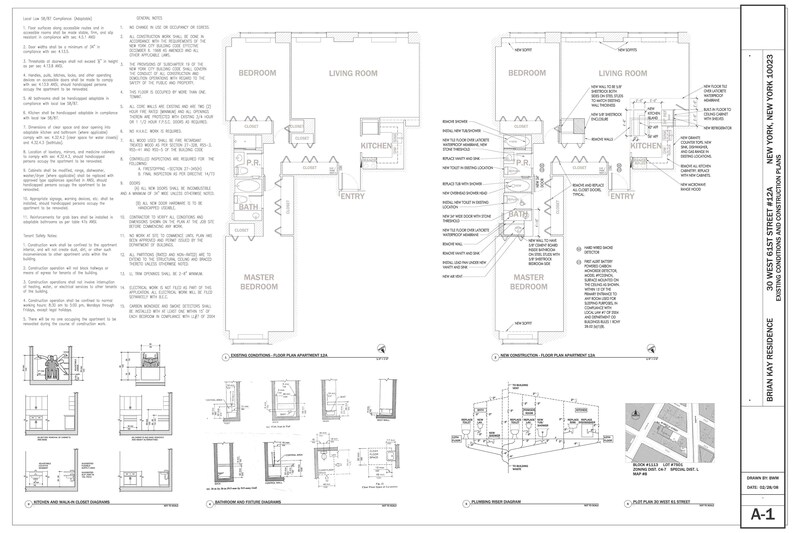 This normal Manhattan apartment renovation, with all the details and Department of Buildings DOB requirements, was fit onto one sheet. It saved printing costs and made disbursement to construction crews less error prone. This project easily got its building permit.